USPS-016-750 on a wide range of topics with his signature candor. For the full story, please turn to page 46. 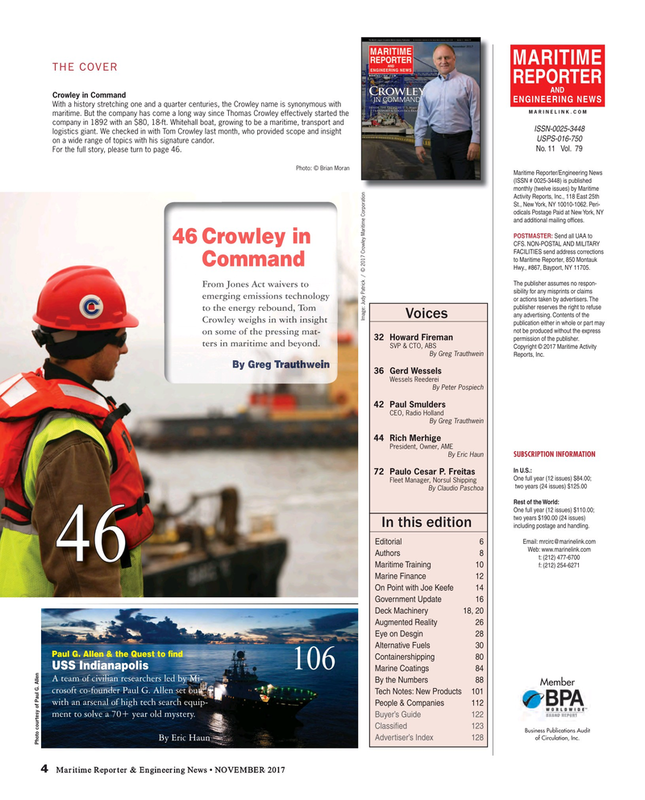 Image: Judy Patrick / © 2017 Crowley Maritime Corporation publication either in whole or part may not be produced without the express 32 Howard Fireman permission of the publisher. By Greg Trauthwein Reports, Inc. In this edition including postage and handling. People & Companies 112 ment to solve a 70+ year old mystery.